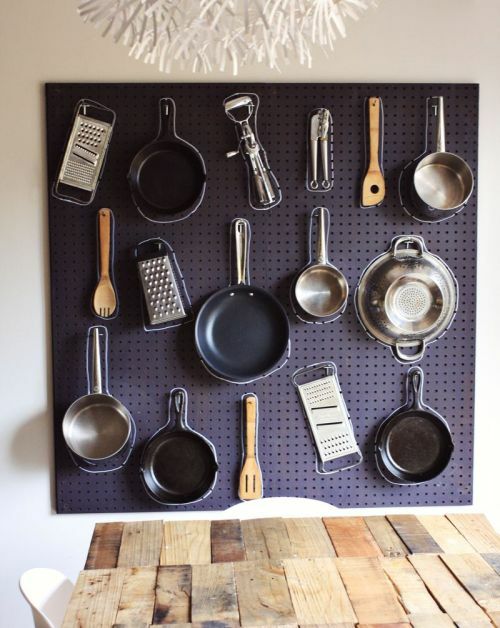 Wish # 1: I wish that my kitchen could be half as organized as this one. And I know I'm not alone in wishing this. The older I get, the more things in the kitchen I accrue, and before I know it, I'm digging through piles of pans, just trying to find one. But that's the problem with living on your own isn't it? Finding a place for everything is tough, and finding a good solution for more space is a tricky business. Soon, everything does have its place, but it always tends to be the place for everything. And you never want to throw anything away, because you never know when you might need it. If I could just have everything in front of me, not buried underneath countertops, I would be one happy cook. Whoever came up with this is an absolute genius.